BUY “Murder at Dolphin Bay” for a friend, relative, co-worker or significant other and support this indie writer. FIXIN’ TO DIE Cover Reveal! We are starting the week off right with an amazing cover reveal and excerpt from the amazing Tonya Kappes, Fixin’ To Die, the first book in her Kenni Lowry Mystery series, arrives on June 14th. “Calling all units. Calling all units.” Betty Murphy’s voice felt like a stiletto in my ear as it came over the police walkie-talkie. The clock read seven in the morning. Betty couldn’t have been at the sheriff’s office long enough to already be calling all units. Not a good sign for a Monday morning. I had yet to enjoy my cup of coffee. “Damn,” I groaned, putting the coffee cup in the beanbag coffee holder that lay over the hump on the floorboard. It was too early for anyone in Cottonwood, Kentucky to be out and about, much less needing assistance from the sheriff’s department. Well, unless it was about the multiple coyote sightings that had been reported throughout the county, which weren’t unusual for this time of the year. In that case, I had my twelve gauge nestled on the backseat, ready to scare them away. Duke lunged his front paws from the passenger side to the floorboard, licking up what little coffee had spilled. There was no way he was getting all of his ninety-pound body squeezed down on the floorboard. I wasn’t sure why she’d be calling for all units when the only unit was me, and Betty was well aware of that fact. Holding the steering wheel steady with one hand, I reached up and grabbed the police radio. I jerked forward when I brought the old Wagoneer to an abrupt stop. I scooted up on the edge of my seat and looked out the windshield and over the hood to make sure the engine wasn’t lying on the pavement. “What?” Shock came over me. I stared out the window. Betty had to be mistaken. Doctor Walton had birthed over ninety-five percent of the population in Cottonwood, including me. He was old, but not casket-shopping old. And his death would be a blow to the community. “D-E-A-D!” She spit out each letter for me as if I didn’t know how to spell. Tonya has written over 20 novels and 4 novellas, all of which have graced numerous bestseller lists including USA Today. Best known for stories charged with emotion and humor, and filled with flawed characters, her novels have garnered reader praise and glowing critical reviews. She lives with her husband, three teenage boys, two very spoiled schnauzers, and one ex-stray cat in Kentucky. Find out more about Susan and her books www.tonyakappes.com. Enter to win a $50 Amazon gift card and Kappes Krew mystery box! Winner will be notified by email. “A Tale of Two Tabbies” Winner! 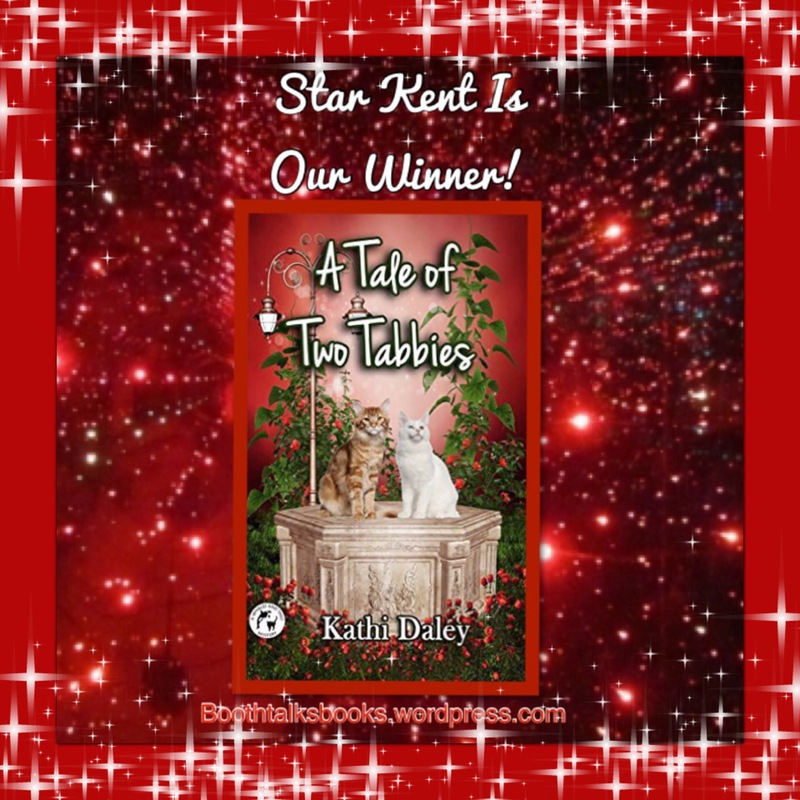 Congratulations Star Kent for being the winner of our Kathi Daley “A Tale of Two Tabbies” book giveaway. It’s okay if you didn’t win because you can still order yourself a copy! Click the book below.